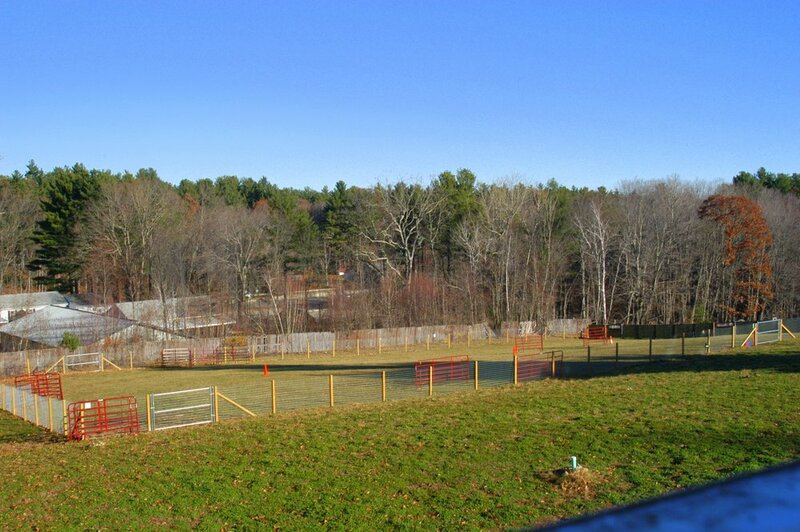 B Course Field: Approximately 4 acre field, fully fenced, can be worked with either sheep or ducks. 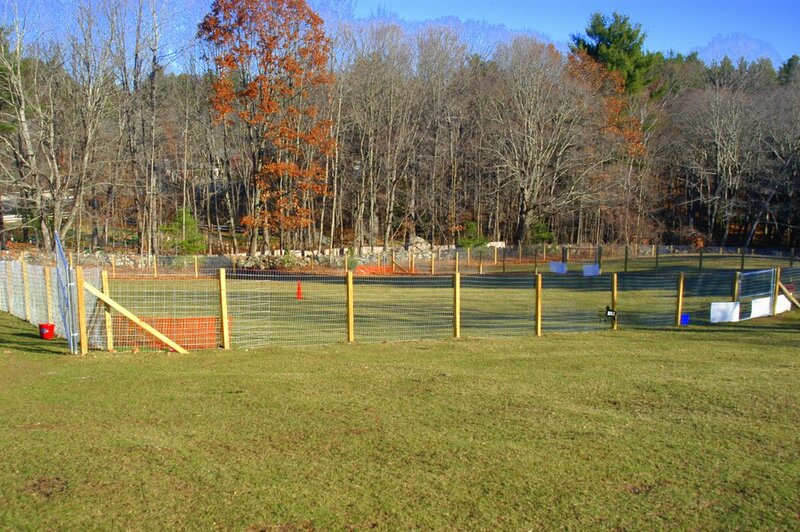 HT arena: 100' x 120', suitable for work on either ducks or sheep. 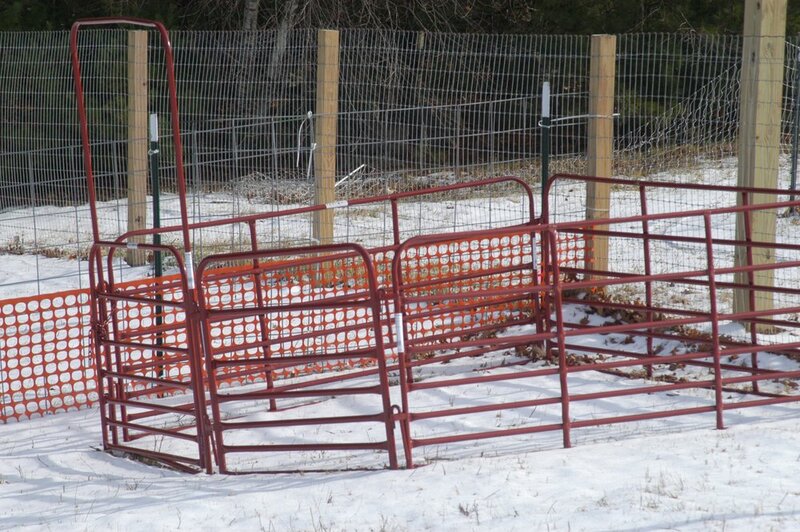 Control Pen: 35' square pen suitable for working ducks/sheep. Coming soon: Solar flood lights to allow night work! 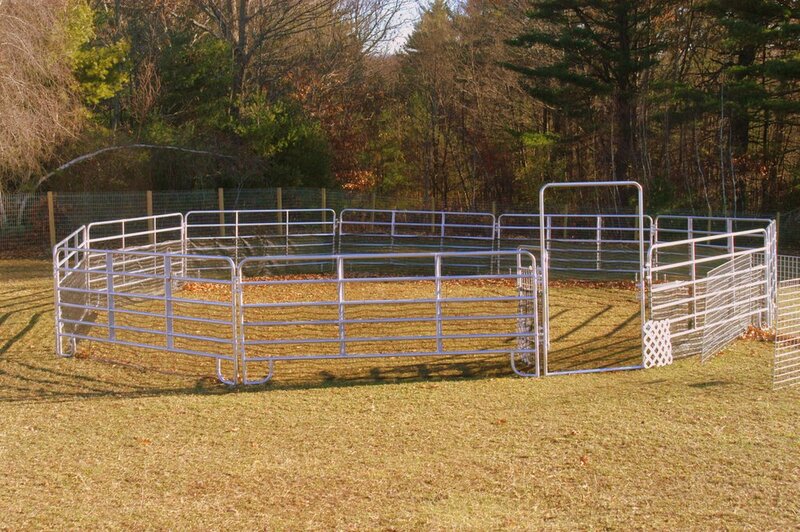 Round Pen: 40' Diameter round pen suitable for work on ether sheep or ducks. Take Pen: 8' x 8' pen with 3' tall sides. 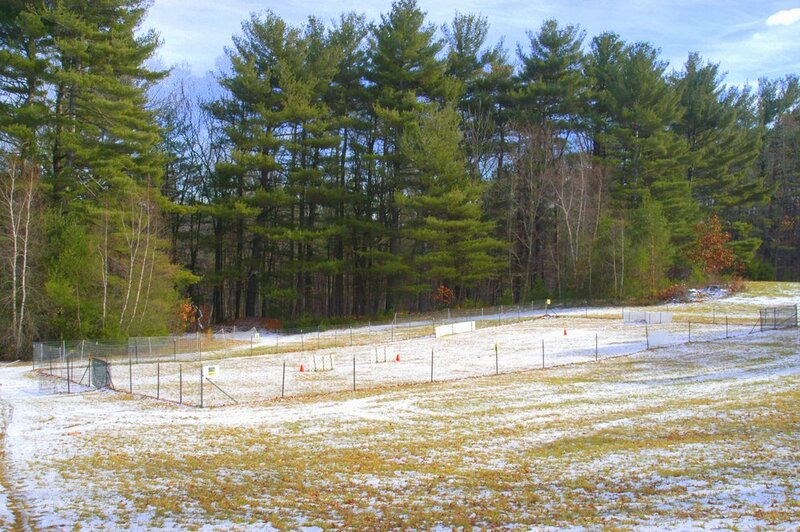 Suitable for teaching "tight" work from the outside of the pen, inside flanks. 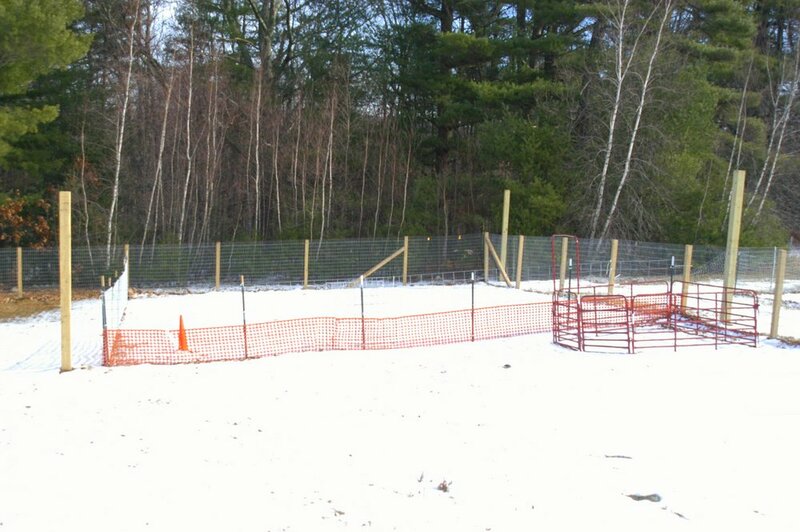 Duck Arena: 105' x 55' feet, currently configured for AKC A course ducks. Light weight fencing suitable only for working ducks.